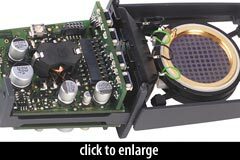 The C 414B-XLS is a transformerless multipattern FET condenser microphone. It is a descendant of AKG’s classic C 414 microphone, but has little in common with the original beyond the name. To confuse matters, it is nearly identical to the C 414B-XL-II, differing only in its capsule and frequency response. 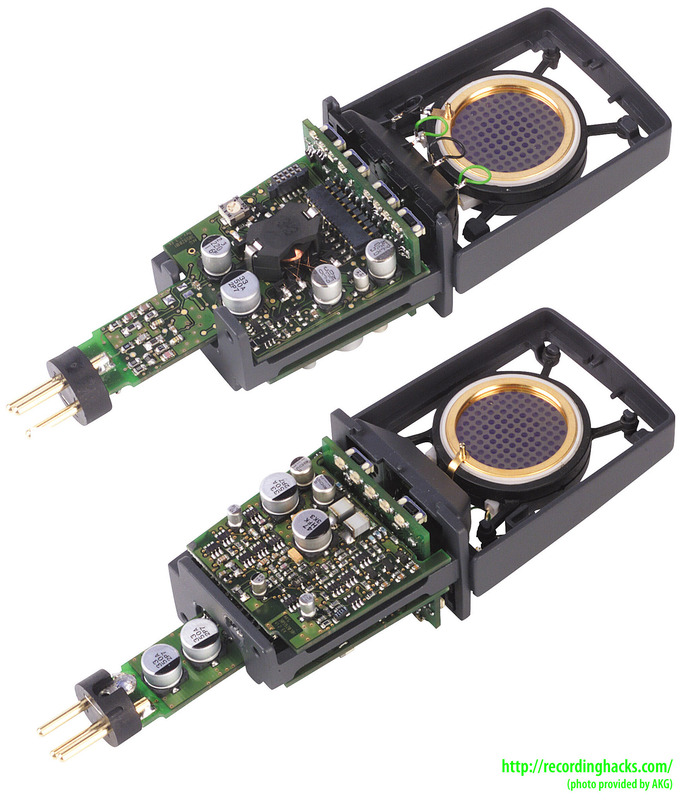 The two modern versions of the 414 mic differ in their application. The XL-II has a presence peak suitable for vocal applications, whereas the XLS has a flatter response, more suitable for instrument reproduction. H 85 professional shock mount/stand adapter, PF 80 external pop filter and W 414 X external windscreen. 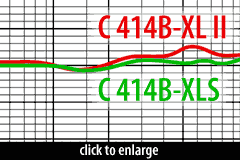 How does the C 414B XLS differ from the C 414B-XL-II? As noted above, the XLS is the flatter-response version of the mic. The grille is silver on the XLS, and gold on the XL-II. The capsules are different. While both are descendants of the CK12 capsule, and both use the newer snap-and-glue, Teflon-ring construction technique, the part numbers differ: 2072Z0022 for the XLS, and 2072Z0023 for the XL-II. More importantly, the frequency response of the two mics is very different. The C414 ships with a foam windscreen, elastic shockmount, and a pop filter in a metal flightcase. Also available as a matched stereo pair; p/n C 414 B-XLS/ST. The AKG Acoustics C 414 B-XLS is also known as: C414B-XLS, C 414 B-XLS. Frequency Response - HypercardioidClick Graph to Compare! Frequency Response - Wide CardioidClick Graph to Compare!